The attorneys at the Birmingham Alabama law firm of Bradford Ladner, LLP are Alabama litigation attorneys who know that litigation demands experienced and knowledgeable legal counsel providing reliable and realistic legal advice inside and outside the courtroom. We work Statewide, helping clients from the Tennessee border to Mobile and the Gulf Coast. 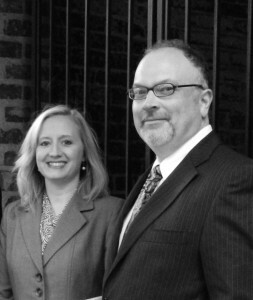 William K. “Chip” Bradford and Amber L. Ladner of Bradford Ladner, LLP have over 30 years of experience helping individuals and businesses with all manner of legal matters. We practice statewide, in all state and federal courts in Alabama. When you Contact Bradford Ladner LLP we will use our years of experience to protect and assert your legal rights, in and out of the courtroom. We will do everything that we can to ensure the best possible outcome for your case. Staying ahead of the curve means taking action to prevent a problem, rather than waiting until the problem develops. Good results do not just happen. Good results come through careful preparation, in depth knowledge of the case and client, and thoroughly researching the law. We believe that getting good results for our clients is all about staying ahead of the curve. If you are facing a criminal charge, having seasoned criminal defense attorneys may mean the difference between a jail sentence or freedom. The Alabama law firm of Bradford Ladner, LLP. has protected the rights of our clients in criminal cases ranging from simple traffic offenses to the most serious violent crimes. 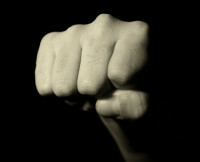 Let us stand by you in court, protect your rights, and fight for your freedom. The government is seizing ever increasing amounts of money and property, and filing criminal and civil forfeiture cases in order to keep the money and property. Many times money and property are forfeited even though no criminal charges are brought. 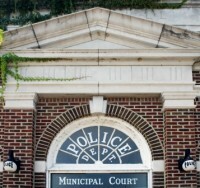 Forfeiture cases involve strict deadlines and complicated procedures. We can help you navigate the complicated forfeiture process and get your property back. If you are facing or contemplating a divorce, the Alabama law firm of Bradford Ladner LLP can help. 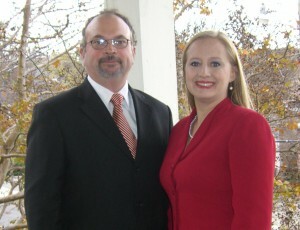 The Birmingham Alabama divorce attorneys at Bradford Ladner, LLP. will meet with you and explain the process of divorce. We will evaluate your individual needs, provide you with advice about child custody issues, child support calculations, the potential for an alimony award, and property settlements. If your case has not concluded in your favor, all is not lost. In most cases there are valid and important legal issues that can and should be appealed. The appellate attorneys at the Alabama law firm of Bradford Ladner, LLP are experienced Alabama appellate lawyers. William K. “Chip” Bradford has successfully handled numerous appeals in the Eleventh Circuit Federal Court of Appeals, Alabama Supreme Court, Alabama Court of Civil Appeals, and the Alabama Court of Criminal Appeals, We have appeared in appellate courts in Alabama on numerous occasions, arguing for our clients rights. For more information on Alabama Appeals please visit our Alabama-Appellate website. Whether you are a plaintiff or defendant, civil litigation can be confusing and costly. Your livelihood, property, or assets may be at stake. Sound legal representation can guide you through the maze of civil litigation. The lawyers at the Alabama law firm of Bradford Ladner, LLP are experienced courtroom litigators and trial lawyers who have handled countless cases for their clients. We are at home before a jury, and know what it takes to obtain a favorable verdict. Let us put our experience and skills to work for you. Amber Ladner of Bradford Ladner, LLP has extensive experience with legal matters involving custody, children’s issues, child support, paternity, and juvenile delinquency. She is no stranger to the Alabama’s Juvenile Court System. Her background in social work and psychology has allowed her to assist countless clients in family court throughout Alabama. Whether the case involves child support, a dependent child, or a delinquency charge, our attorneys can help. 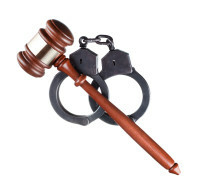 There are numerous reasons that a criminal conviction can be re-examined and relief granted. The Alabama law firm of Bradford Ladner LLP is experienced in pursuing relief through State court Rule 32 petitions and Federal court § 2255 petitions. 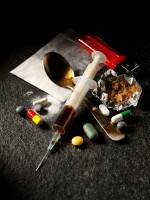 We also counsel clients about probation, probation revocation, parol issues, parol hearings and revocation, and sentencing. If you or a family member is seeking relief from a criminal conviction, or if you are facing a parol hearing, revocation or probation hearing, call us and let us review your case. IF YOU NEED LEGAL REPRESENTATION, PLEASE CONTACT BRADFORD LADNER, LLP. We will be happy to meet with you and discuss your case.